In Nashville, we are a city proudly battered by the elements – wind, sun, rain, snow and hail. James Hardie siding is made to endure such conditions while providing a wonderful look that requires minimal maintenance. Here are some of the top reasons we at Siding King only recommend James Hardie siding to our customers. James Hardie products are found on the sides of more than 5.5 million homes across North America. Their beauty and durability have won over the press, remodeling industry and homeowners alike. For example, in 2013, the Good Housekeeping Research Institute awarded the HardiePlank lap siding its prestigious Good Housekeeping seal. And a year later, the respected trade journal Qualified Remodeler named Hardie board siding one of the top products of its kind. While the parent company of James Hardie siding has been in continuous operation for more than 100 years, it never sits on its laurels. It recently invested $20 million in research and development to ensure that they stay on the leading edge of innovation and value. 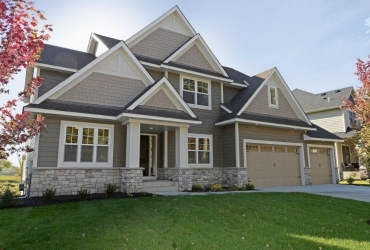 James Hardie Building Products invented fiber cement over 30 years ago and it has gone on to become America’s number one siding product, continually rating higher than competitive products as far as durability and performance. Continual investments in research and technology have also ensured that James Hardie siding outperforms generic fiber cement products. When compared to vinyl siding, James Hardie siding is many times thicker, allowing for deeper grooves and a more authentic wood-grain effect (so it looks much better on historic homes). While vinyl melts easily in a fire, James Hardie siding is non-combustible. It’s also more durable, resisting vinyl’s tendency to sag, warp and melt. Unlike wood siding, James Hardie siding resists the effects of moisture and mold damage, and it withstands the effects of fire while wood goes up in flames. 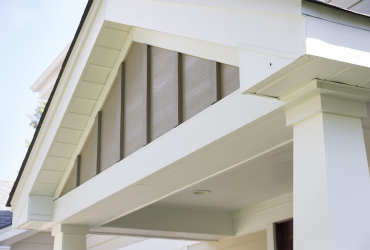 Hardie siding resists weather damage and keeps its shape for much longer than wood (which split cracks and deteriorates over time), which means there is less maintenance to fret about. 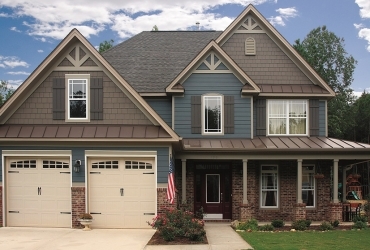 Siding King also offers Artisan Exterior Design, which is a new architectural grade line from James Hardie. The line features Artisan Lap and Artisan Accent Trim products. Backed by 15 years of research and development, James Hardie’s patented technology provides a product with superior structural integrity that enables homeowners with the highest standards the opportunity to express themselves through the very best design. To find out why James Hardie siding is the right choice for your home, contact the Siding King, the only Elite James Hardie Contractor in Nashville for a free quote. You will discover why we are Nashville’s top-rated replacement siding professionals, focused on your 100% satisfaction.